Samsung is following in the footsteps of Apple’s manufacturing partner Foxconn, after an executive from the Korean electronics giant revealed it is considering plans to build a mobile manufacturing center in Indonesia. Lee Kanh Hyung, who heads up the mobile maker’s business in Indonesia, confirmed to Dow Jones that the company is “interested in having a mobile phone plant” in the country, and, like Foxconn, it has already engaged in conversations with the Indonesian government to investigate the opportunity. The possibility for a mobile manufacturing facility in the country follows a number of recent commitments that Samsung has made to bolster its supply chain and technologies. Last month, the company announced plans to spend $4 billion revamping its chip factory in Austin, Texas, and it broke ground on a $7 billion flash memory making facility in China earlier this week. Indonesian Industry Minister M.S. Hidayat confirmed he is pulling together a package of benefits and incentives to encourage a firm commitment from Samsung, which is yet to clarify further details of its strategy for a potential Indonesian plant. The government is also keen to tie down a commitment from Foxconn, which produces Apple’s iPads and iPhones and works with other tech industry players. The Taiwanese company is considering a project that is said to be worth $1 billion, but government officials are optimistic that its total investment could reach $10 billion, and help establish a regional tech hub in the country. Apple opened pre-ordering of the eagerly awaited iPhone 5 today but Foxconn has come under fire in China this week, after a journalist published a report critical of the firm following 10 days spent working undercover helping to produce the device. 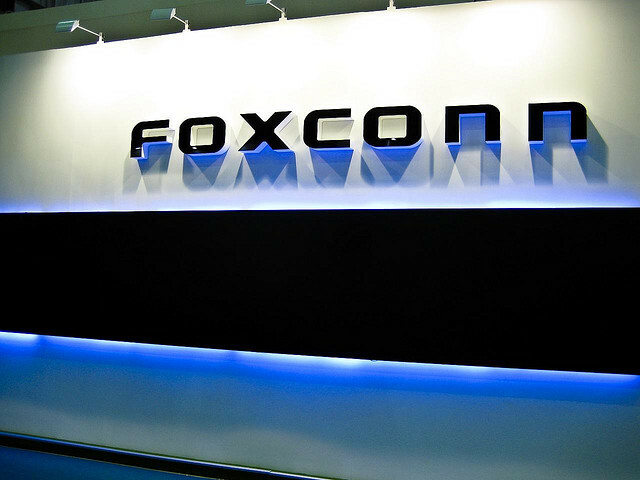 Foxconn responded with a promise to investigate the claims, and it admitted that it “is not perfect” but is trying to reverse its reputation for poor working conditions.